EA has announced that Tiger Woods PGA Tour 10 and Grand Slam Tennis will be released a week earlier than scheduled in order to hit shelves the same time as the Wii MotionPlus. 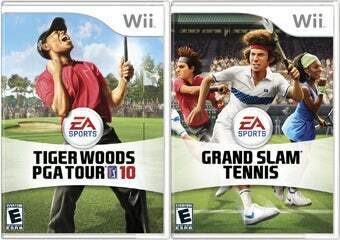 There's no point in releasing a shiny new piece of Nintendo plastic if there's no games to support it, so EA is moving up the release dates for Tiger Woods 10 and Grand Slam Tennis one week in order to coincide with the release of Nintendo's Wii MotionPlus, which both games support. Makes sense, doesn't it? "This was important for us to bring in our ship dates for Tiger Woods PGA TOUR 10 and EA SPORTS Grand Slam Tennis to hit right at the launch of the new Wii MotionPlus accessory in North America," said Todd Sitrin, Group Vice President Global Marketing, EA SPORTS. "Fans deserve great games that use the new accessory, and now they'll have two that deliver authentic sports motion as soon as the Wii MotionPlus hits stores." Both games will now hit stores on June 8th in North America, with the Tiger title available as a bundle with the Nintendo accessory for $59.99.